Uptown Saint John Inc. is a Business Improvement Association (BIA). We are a not for profit association, our funding comes from an enacted legislation from the province. An area rate of .16 per 100.00 of assessed value of a property is collected through the annual tax bill and submitted to the BIA annually. We sat down with them to have a chat about their new initiative- The Clean Crew. (Q) What is the Uptown Clean Crew? (A) Currently a two-person cleaning team that weeds, cleans litter, and does poster removal in the district. It came out of a survey that businesses want a cleaner city and is part of our mandate, see BIA ACT. (Q) How long will it last? (A) This will become part of Uptown Saint John’s annual budget, we will be on the streets until late October. 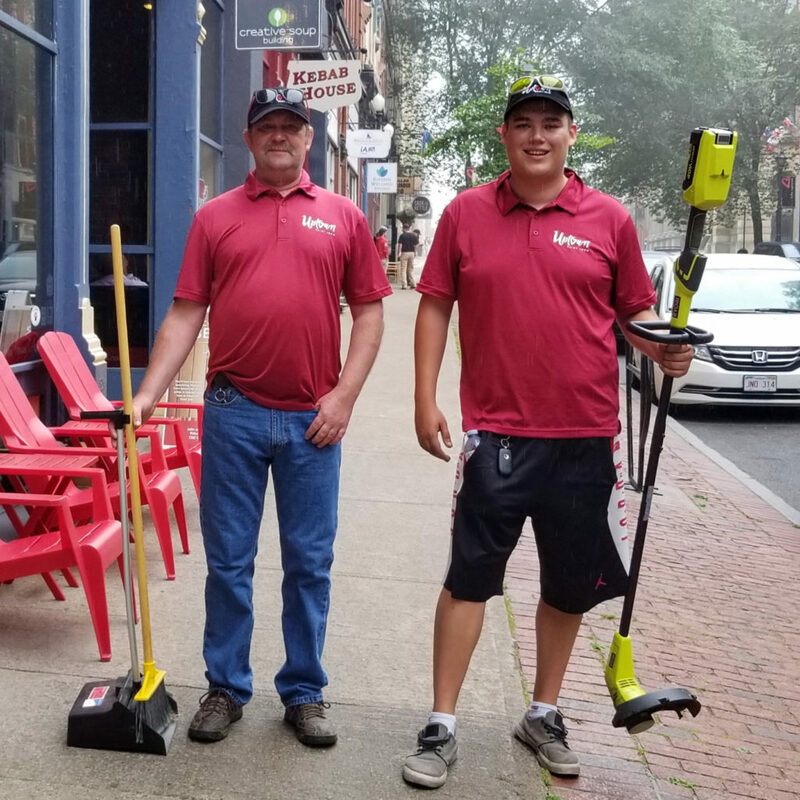 Uptown Saint John has also purchased a large sidewalk sweeper machine that will be on the sidewalks before end of summer. This machine does sweeping and suction, it will be solely run by the BIA. (Q) How can businesses uptown benefit from this initiative? (A) When streets are clean and litter free it provides a better atmosphere for our visitors and residents. It shows pride of place. If people feel that the area is being taken care of with cleanliness and beautification efforts, then they will frequent our streets. If people notice an area of the uptown that may require some special attention for cleanup, they can notify us at our office at 633.9797. (Q) How are businesses responding to it so far? (A) We had an overwhelming positive response from our members, we have been recording the comments and we have data collection on each of our daily routines. i.e., litter bags, poster removal, we have GPS devices on the crew for areas maintained. We collect general comments and review infrastructure repair, we provide information back to the city. (Q) Are there other environmental or sustainability initiatives that Uptown Saint John has developed? (A) We started a Clean Sweep Day 4 years ago, which falls around Earth Day annually. We encourage businesses to join in on a clean-up morning, we provide a sponsored continental breakfast break after the clean-up. This initiative is twofold to have employees that work uptown to do a teamwork exercise and to help kick off the spring in our city with extra clean streets. We have partnered with the Green Machine that the city provides for community clean ups.